Those with Lou Gehrig's disease and the wait for disability. Those with Lou Gehrig’s disease may not have to wait as long for disability soon. There is currently a bill in congress which proposes waiving the five-month waiting period for Disability applicants with Amyotrophic Lateral Sclerosis or Lou Gehrig’s disease (ALS). The bill was introduced on ALS Advocacy Day in the Senate (S. 2904) by Democrat Sheldon Whitehouse and in the House (H.R. 5183) by Democrat Seth Moulton and Republican Peter King. There is currently a bill in congress which proposes waiving the five-month waiting period for disability applicants with ALS or Lou Gehrig’s disease. Amyotrophic Lateral Sclerosis, also known as ALS or Lou Gehrig’s disease is a degeneration of the neurons that connect the brain to the rest of the body. Sufferers of the disease gradually lose motor control. It can become impossible to perform everyday tasks. If the disease effects the throat and mouth muscles, the sufferer may not be able to speak or even breathe without assistance. It generally takes years for the disease to progress, although in some cases it will progress more rapidly. There is no known cure and treatment revolves around minimizing symptoms. A medication call Riluzole may help slow the progression of the disease, but the disease generally leads to death within five years. Social Security Disability Insurance (SSDI) beneficiaries must wait five months between the beginning of their disability and their first disability check. Generally, the application process takes up a good portion of this time. However, sometimes people are approved benefits but are then stuck waiting for them until the five-month period runs out. Congress justifies the waiting period, saying it helps save money and prevent fraud. Five months allow time for conditions that are not permanent to heal. Unfortunately, disability applicants are by definition unable to work and support themselves so the waiting period is often a time of financial hardship. The bill aiming to end this period for those with ALS is primarily backed by the ALS Association (ALSA). The ALSA raises funds for research and networks with hospitals to provide medical service and support for those suffering from ALS. The association is a powerful lobby in Washington and has some previous success promoting their cause. In 2000, congress waived the two-year waiting period for Medicare coverage specifically for applicants with ALS. This has not been the first attempt to end the five month wait period. The waiting period is controversial because it’s stated intent is to give time for temporary disabilities to improve, however, only permanent disabilities qualify for benefits to begin with. Those with disabilities can’t work by definition and the waiting period is a time when they will be without income from either work or benefits. In 2013, a similar bill was proposed to eliminate the waiting period for all applicants suffering from any terminal illness. The bill was proposed after a woman died before she was able to receive the benefits she was eligible for. Unfortunately, the bill did not make it through congress. If you have become injured or ill and become unable to work, you may be eligible to collect Social Security Disability Insurance. The attorneys at Bemis, Roach and Reed are ready and able to help you with your claim. 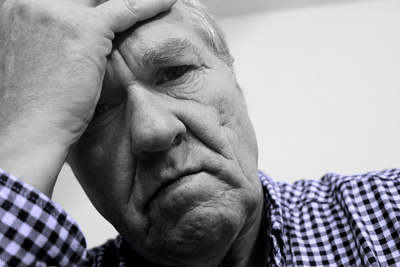 Navigating the bureaucracy of Social Security can be difficult, contact us today so we can help. Call 512-454-4000 and get help NOW. Virtually any disease can qualify you to receive LTD benefits.